Beat the heat in Southwest Oklahoma with Davis Air Conditioning specialists on the job. We are one of Southwest Oklahoma’s top residential and commercial Air Conditioning Contractors. 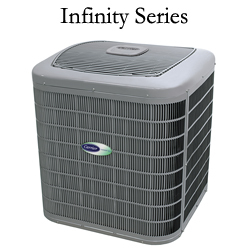 When purchasing a new air conditioner for your home you should know that today’s air conditioners are 30-50% more efficient than the units from the 1990’s. Our comfort specialists can perform a load calculation on your home to ensure you buy a system that is properly sized for your home to maximize efficiency and optimize your home comfort. Don’t settle for any contractor — put your trust in a company with experience, knowledge and a commitment to quality. We have been cooling Southwest Oklahoma since 1976. 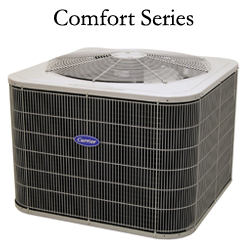 We feature Carrier air conditioning products, but have access to other brands as well. 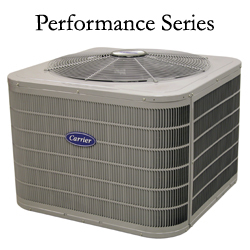 Carrier is the world’s leader in high-technology air conditioning systems.